If you know me well, I put a lot of emphasis on relationships. Hence, whenever possible, I would create opportunities for J and K to spend time with family members and friends. Just for them to mingle, play, joke, or… you get what I mean. In the most recent school holiday, we took J and K to visit my parents-in-law. I thought putting them together would be sufficient to achieve my noble objective. 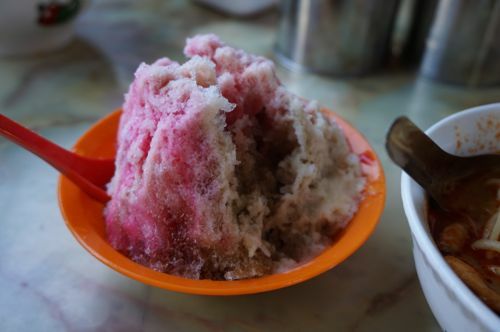 On the first morning of our visit, while I was still half awake rubbing my eyes and at my wife’s suggestion, my mother-in-law told me we were going to Taiping for a day trip. And on the way, we would stop at my wife’s cousin’s house. 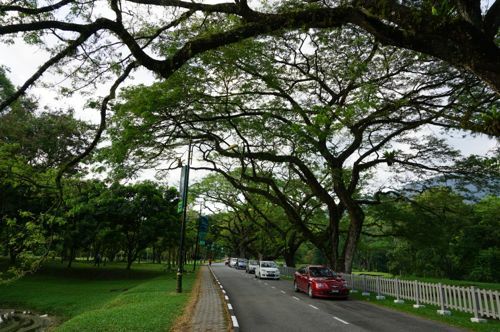 The reason was it had been a long time since my MIL visited Taiping and she wanted to refresh her memory about how Taiping looked like. Plus, she never visited her niece’s (my wife’s cousin) house – not even once – after they moved in ten years ago. That day seemed to be the perfect day for the maiden visit. That’s how the Taiping trip was born. Totally unplanned and caught me off guard. I didn’t complain as going on a trip is one of the best ways to interact and have fun. It was even better than what I expected. Another thing unplanned was, after having lunch at a seafood restaurant near my wife’s cousin’s house, we suggested to bring one of the cousin’s children on the trip with us. She is as old as J and the invitation turned out to be the most enjoyable experience for J and K (This is what they told me after I checked with them afterwards). The three of them chatted in the back of the car for the entire trip and I could sense that they enjoyed each other’s company very much. To be honest, I didn’t expect that was their best part. What do we know? Kids enjoy the simplest things that we adults always overlook. 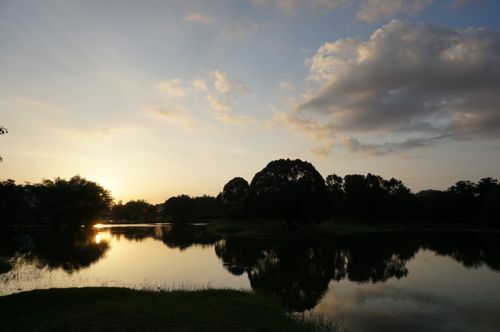 Taiping is the second largest town in Perak after Ipoh, the state capital. I reached Taiping 2:30 pm thinking that we were early to catch a Land Rover up to Maxwell Hill (also Bukit Larut) – Taiping’s famous hill getaway. To our disappointment, the tickets for the day sold out. The last trip is 2:30 pm. Don’t ask me why 2:30 pm is the last trip up the hill because I am equally astonished and speechless. One driver told us that tickets sold out fast especially on weekends or public holidays. He advised us to go as early as 7:30 am next time for the ride tickets. And if you think of online reservation, forget it as it’s not available. No luck with Maxwell Hill. I had no choice but to continue with the trip. I called up my old buddy who now runs a charcoal factory in Kuala Sepetang, a nice 15 minutes’ drive from Taiping. As luck would have it, he happened to be there and I told him I would be seeing him at his factory which was founded by his grandfather. My friend’s charcoal factory can be found at the end of the road where all other charcoal factories are also located. The road leading to the factory is so different from our last visit where many stalls lining up selling charcoal based products and other souvenirs. 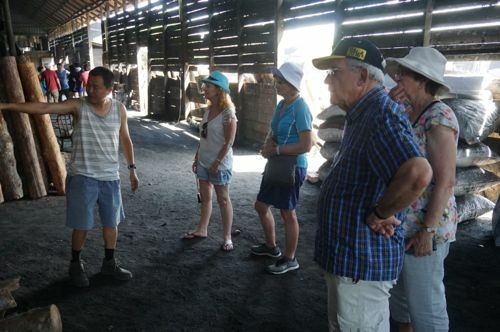 When we arrived, Chuah was briefing a team of foreign tourists on how charcoal was made, from beginning to the end. I didn’t want to interrupt him and waited for him to finish before talking to him. 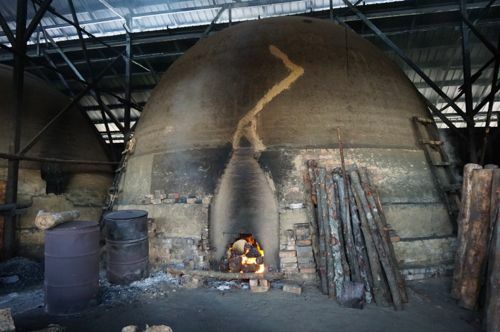 Charcoal is made the traditional way from mangrove woods found in surrounding areas. 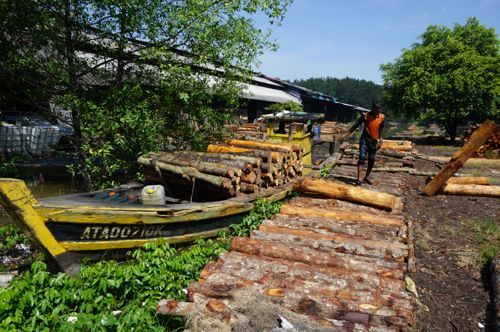 The woods were brought in by boat to the factory which is located at the river mouth. 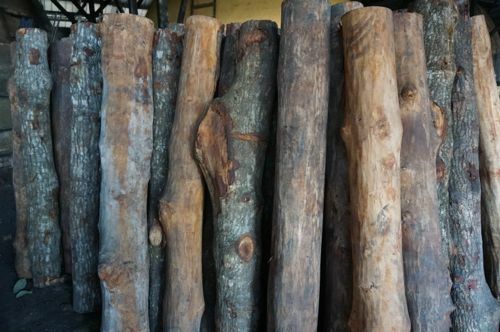 Then, the woods will be placed in a furnace / kiln to be turned into charcoal. The process looks simple but it takes a long time to produce the end product. 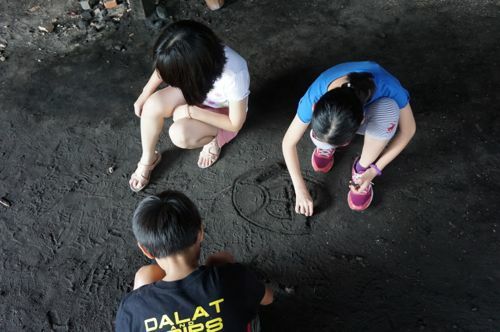 A trip to charcoal factory can be highly educational for children and adults. And it has my seal of recommendation. 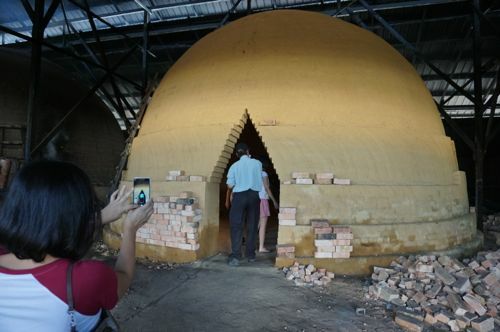 We are lucky as the charcoal factories are still in operations in these modern days and there are people from younger generation who are willing take over the businesses which are dirty (literally) and glamor-less. My friend is one such fine example. To show support to my friend, I bought a few bars of charcoal-based soap just to try out. 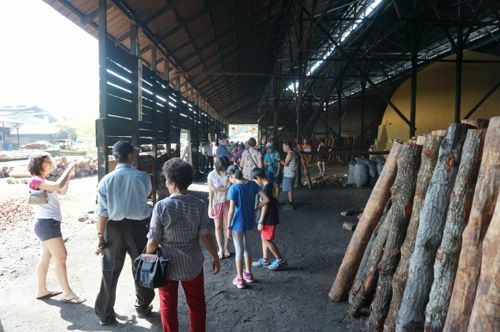 Bear in mind that not all charcoal factories in Kuala Sepetang have guided tour. 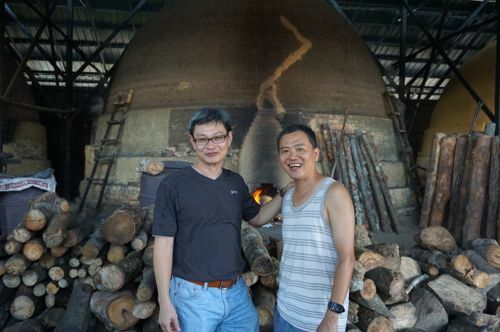 If you want to have a first hand tour of a traditional charcoal factory, contact Chuah at +6(012)-4286098. Tell him I send you and you might get a surprise. Despite his busy day, Chuah was kind enough to take us to Kuala Sepetang town for food. He recommended curry mee to us. 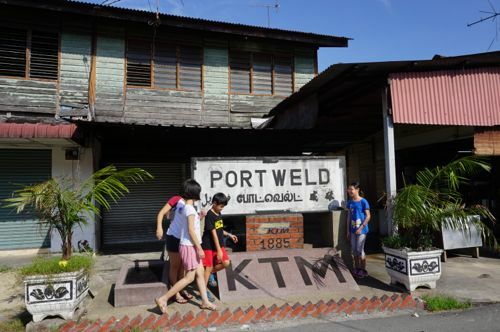 The stall is located just opposite the “Port Weld” sign of the now demolished Malaya’s first train station – which was built in 1885. It was already full of hungry customers when we arrived at 4:00 pm. The food stall opens much earlier but curry noodle is only available from 3:00 pm onwards. 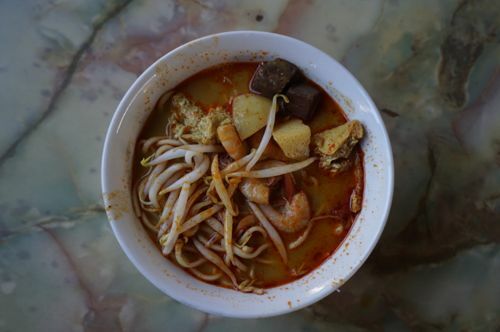 Besides curry mee, you can order Penang asam laksa or kuey teow soup. 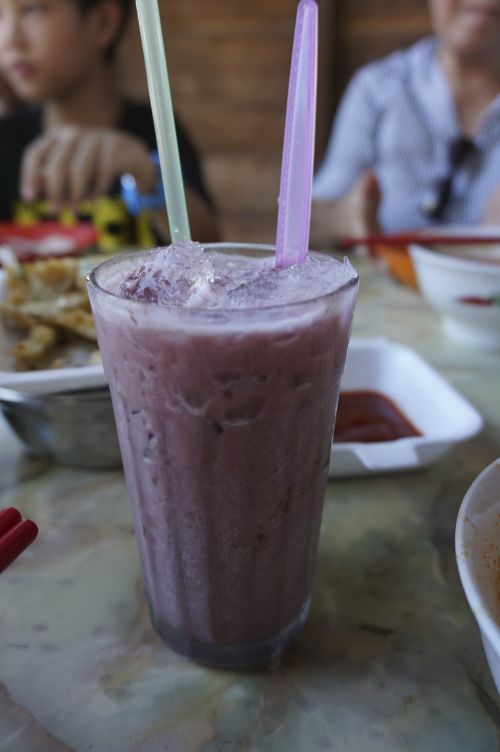 To wash down your spicy noodles, you can have a bowl of icy cold ABC (red beans with shaved ice) or it’s signature blended red bean (“ang tau kar” in Hokkien). I personally like the curry mee. It’s deliciously creamy but it’s not too spicy. The aroma of the soup is not too strong and, similar to Penang curry mee, it has pig blood cubes and tofu puffs. After getting some dried shrimps, we sent Chuah back to his factory and said good bye. We thanked him for his great hospitality. 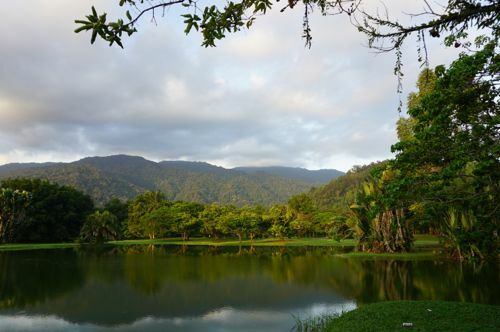 It may sound exaggerating but your visit to Taiping is not complete if you do not visit Taiping Lake Gardens. 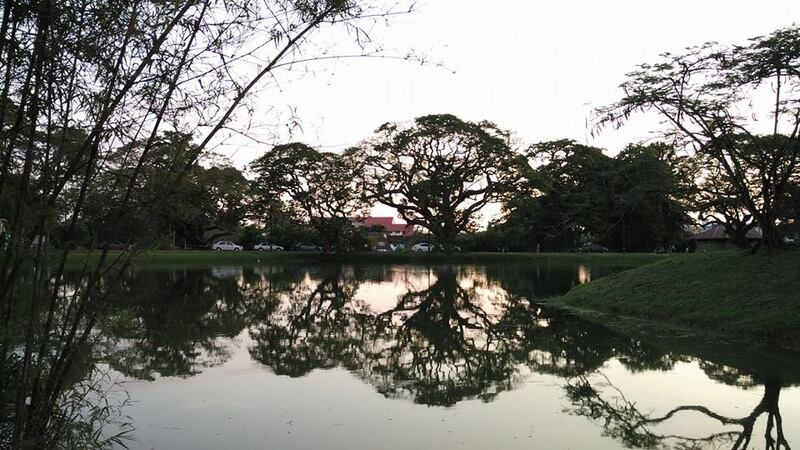 It was evening when we arrived at the Taiping Lake Gardens. The traffic was heavy as many people were heading to the most popular lake in Taiping for a stroll. We parked our car at the roadside and walked around the huge garden. 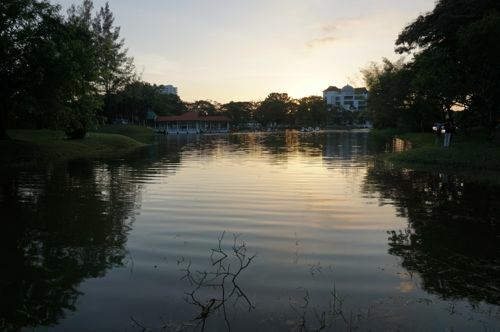 If you’re lazy, you can go around the picturesque Taiping Lake Gardens in car without breaking a sweat. But that’s a pity if you do that. How can you not get out of your car and let the beauty and serenity of the garden engulf you. 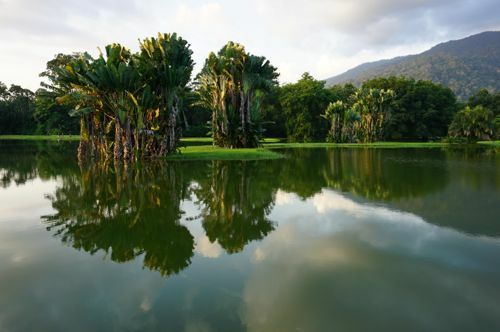 There are no words to describe the peacefulness and magnificence of the Taiping Lake Gardens. You just have to go there and experience yourself. Besides lakes, the garden is full of big, old trees. The public garden is very green and well kept. In the distance you can see mountains as the backdrop which I believe to be Maxwell Hill. My wife is especially mesmerized by the reflections of the lakes which are even more stunning when captured through the lens of a camera. There are many people who go there for exercise too. If you are in the mood, there are boats available that you can pedal in one of the lakes. Otherwise, having a walk and taking in the beauty of the place is just as good to make a memorable experience that you will not forget. 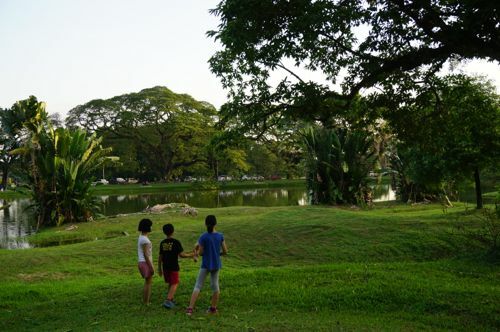 Taiping Lake Gardens is located near the zoo and Maxwell Hill. It’s quite a challenge to finish walking around the garden especially with children and old people in tow. We only managed to walk through a small section of the garden. We had to rush home after enjoying the Taiping Lake Gardens since we needed an hour of drive to reach home. We are not done yet with Taiping and surely we will be back for more.